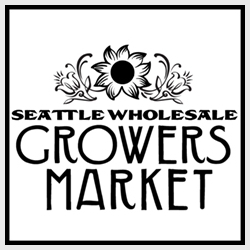 SEATTLE (Jan. 13, 2015) – This Valentine’s Day, Slowflowers.com urges consumers to rethink how they celebrate and woo by supporting local farmers and florists with sustainable, American-grown bouquets. The flower market is booming! Retail value of U.S. cut flower sales totals $7-8 billion annually, but of the 224 million roses sold in 2012, only two percent were American-grown. Nearly 500 Slowflowers.com florists committed to sourcing U.S. grown flowers have sights set on Valentine’s 2015 to take back business that has for decades belonged to 1-800 tele-florists and the imported flowers they distribute. The battle begins in Miami where its international airport receives 80,000 – 120,000 boxes of flowers per day during Valentine's week. Ecuador has the largest share with U.S. growers nabbing only two percent of the market, behind Canada. On the heels of the successful farm-to-table movement, Slowflowers.com is racing to galvanize support for its farm-to-vase crusade. Valentine’s 2015 is positioned as an industry coup, where the country’s most progressive Slowflowers.com florists are turning down 1-800 orders that flood their businesses every February – opting instead to meet demand with artistic pieces using only domestic flowers and foliage. Slow Flowers is an online directory to help consumers find florists, event planners, supermarket flower departments and flower farmers committed to using American-grown flowers. More information is at www.slowflowers.com.